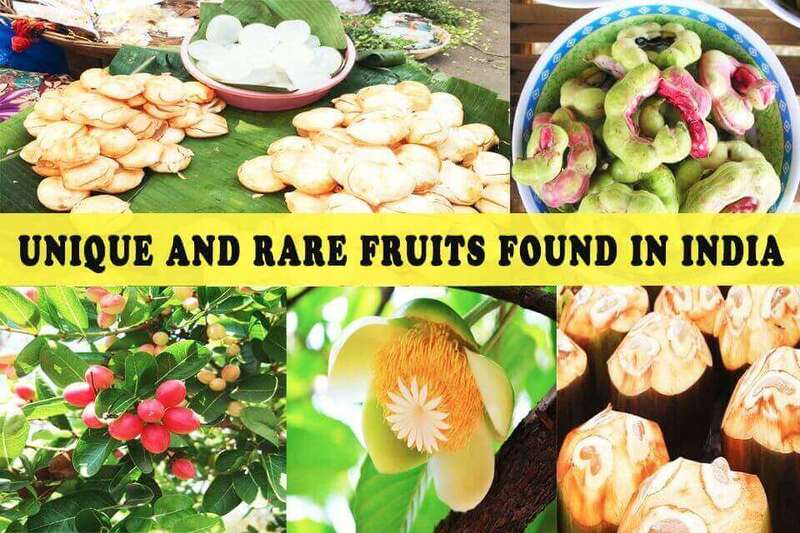 This section of the article belongs to the amazing and rare fruits found in India. 13 Unique And Rare Indian Fruits That Will amaze Your Eyes: Fruits are an integral part of the human diet and are rich in nutrients, vitamins, and minerals. With a range of climate that changes from the Himalayan region to the tropical one, India has so much to offer in terms of diversification in fruits. Fruits like Mango, banana, and many citrus fruits are grown in different parts of the country. 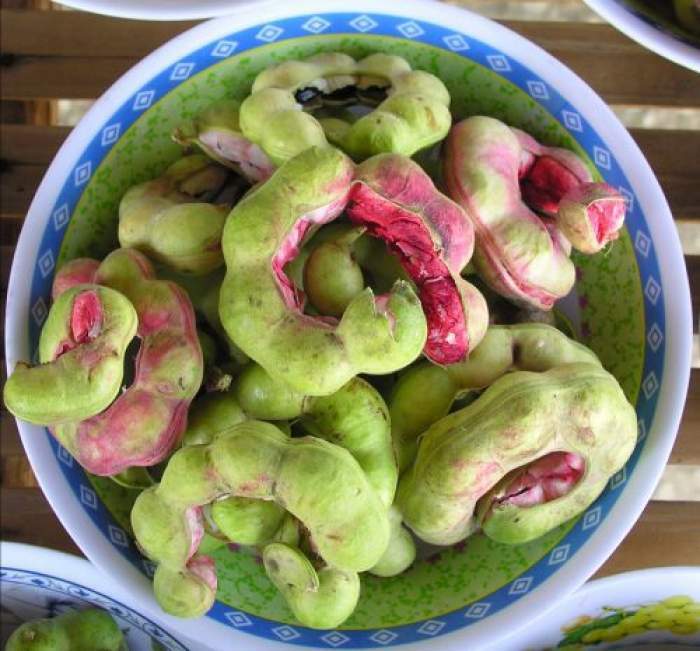 But there many other unique and rare variety of fruits that are found in the wild and mainly locals eat them. They find their way in the markets during the cold summer and cold winter seasons of the subcontinent. Did you ever know that Indian is the second largest country in terms of production of fruits? They are mainly grown in- Tamil Nadu, Kerala, Maharashtra, Karnataka, Andhra Pradesh, and West Bengal. The spiral green-pink fruit contains about 6-10 black seeds covered in a thick sweet eatable pulp. The pulp of it when eaten raw or made into a drink taste similar to Lemonade and its tangy seeds are used in curries. 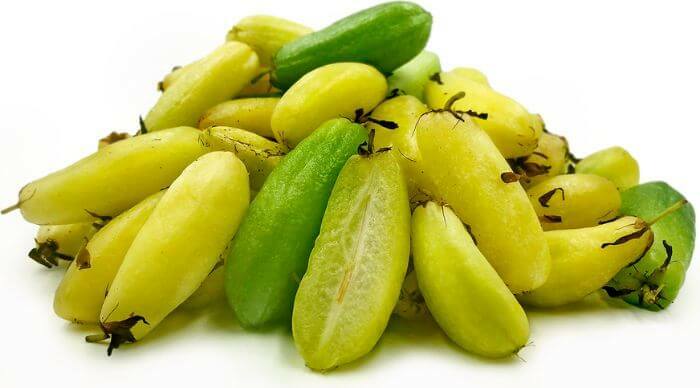 Carambola fruit is specially grown in South India. It has slippery skin and has yellow-greenish color. When the fruit is ripe it has a distinct yellow color, with small brown ribs, which makes it good to preserve or make pickles of it. The one which is unripe are lime green, they taste sour and are best in taste when served with a pinch of salt and chili powder. They are grown in the months of September-October and January-February. 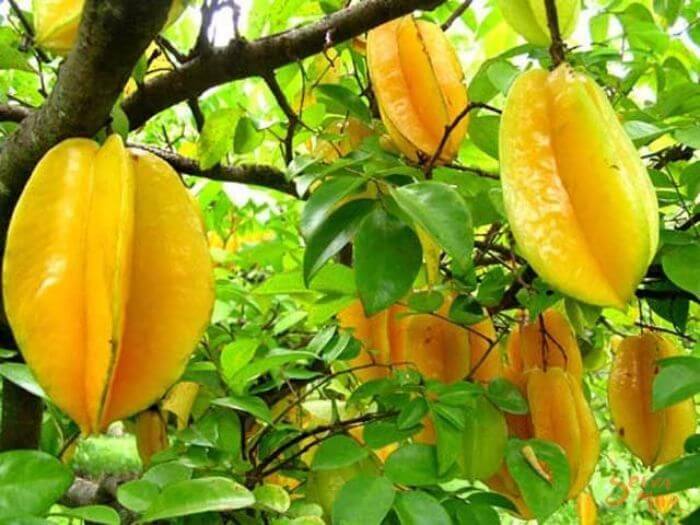 India is among the largest producer of Carambola. This fruit is mainly grown in Northern India. 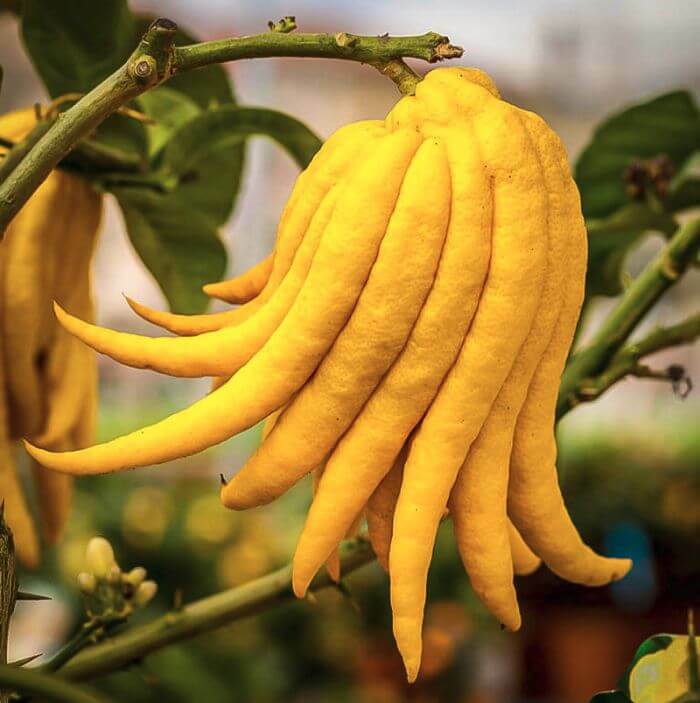 An amazing fruit, Buddha’s hand looks like a thick lemon with elongated, yellow tentacles (which looks similar to human fingers), emerging from the base; hence named as Buddha’s hand. It has a zest flavor. It also used in perfumes as it beautiful fragrance. They are believed to be originated in the lower Himalayas. It’s one of the unique and rare Indian fruits you’ll see. Lotka is grown throughout eastern and southern India, especially in Nilgiri hills. 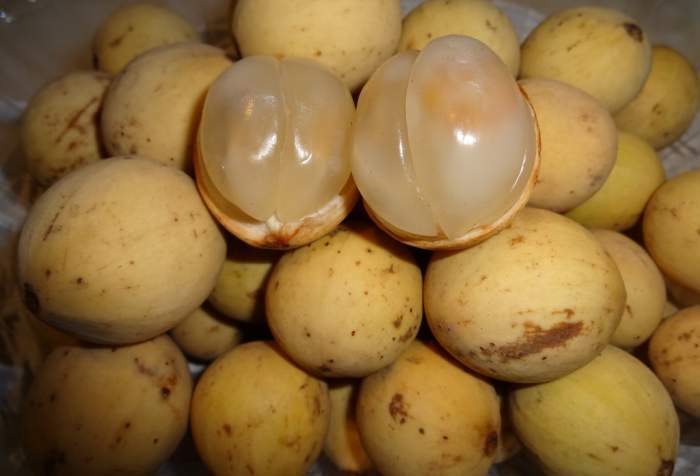 A small, transparent, ball-shaped fruit is often found in the Southern regions of India. 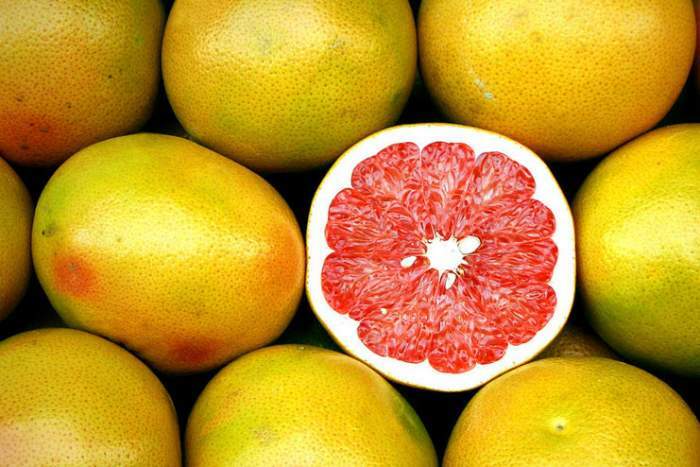 They are sour when unripe, but sweet in taste when ripe, having a similar taste like grapefruit. They are mainly grown in the regions of Nilgiri hills, the southern districts of Tirunelveli, and Kanyakumari in Tamil Nadu, and Kerala. A fruit full of fragrance has a size just like of an orange. It has a shell of purple-maroon color which surrounds a moist, snow-white, and sweet fleshy from inside. 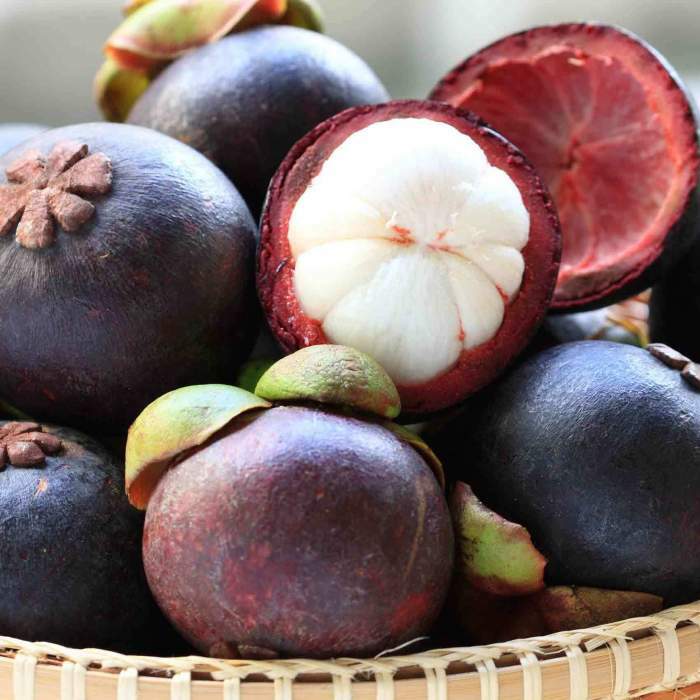 It is the national fruit of Thailand, but it is believed that the trees of this fruit used to flourish the regions in southern Indian throughout the 18th century. Mangusta tastes similar to mango and is only ripe completely when it has woody, leathery purple-maroon covering touch. A very versatile fruit; grown in Maharashtra, Andhra Pradesh, Tamil Nadu, Kerala, Karnataka, Madhya Pradesh, and the western Himalayas. 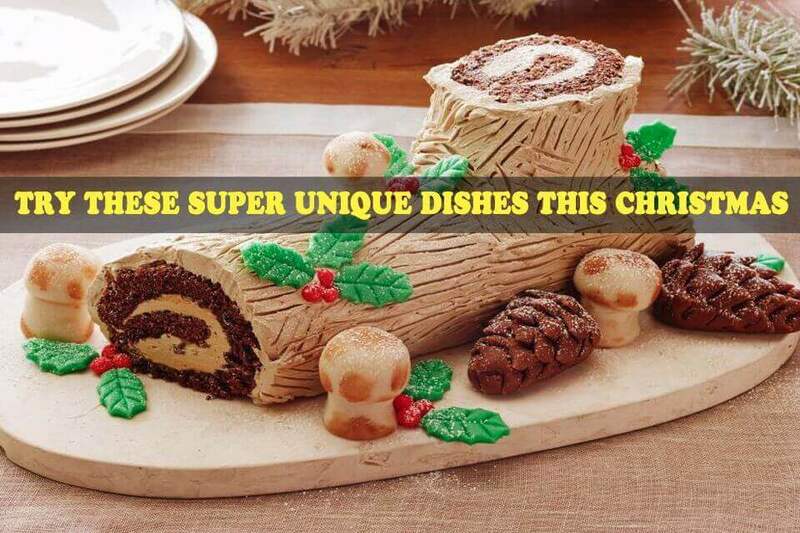 It can be eaten fresh and it has a woody exterior which you need to break from a knife or any sharp thing. From inside it is has a sticky pulp when taste sweet and sour both when they are fully ripe. They are commonly eaten with a small amount of jaggery to manage the acidity; the fruit is also used to make jam, chutney, or sherbet. 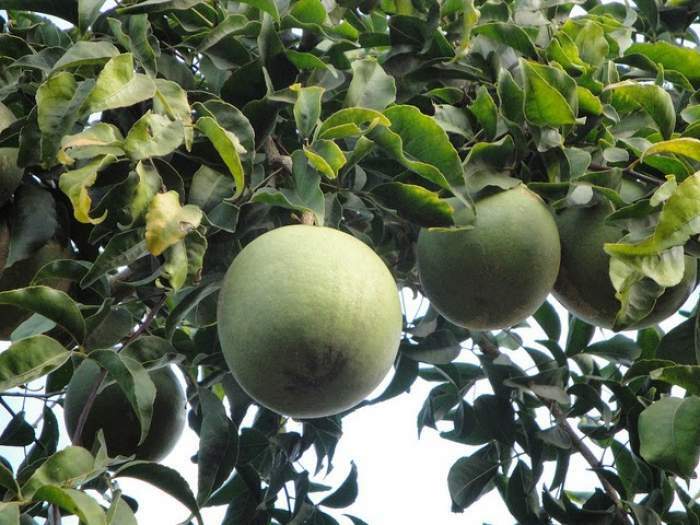 Chalta is known to be the favorite fruit of elephants and is mainly grown in Assam, Kolkata, Bihar, Odisha and the sub-Himalayan tract from Kumaon to Garhwal. The fruit is yellow-green in color and turns leathery brown when ripe. It is sweet and acidic in taste. Unripe fruit is often used in pickles, or for chutney. 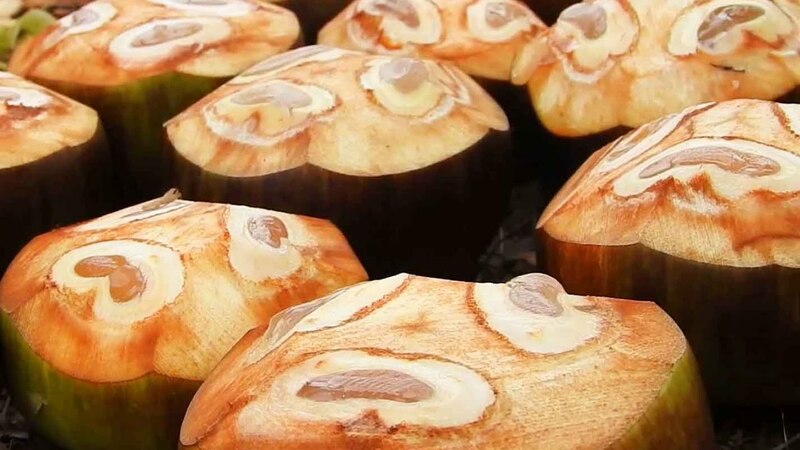 Taal is a type of palm fruit which grows in groups and is grown in Tamil Nadu, Maharashtra, Goa, and Kerala. Taal has a stiff brown color from outside and is jelly-like from inside. The fruit is used in making alcoholic beverages. It is sweet in taste. 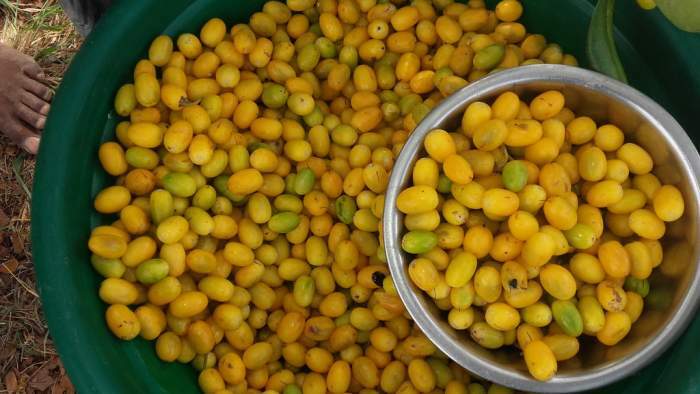 Khirni- Golden yellow berries has melting fruit sweetness. They are grown in Central India and the Deccan Peninsula. 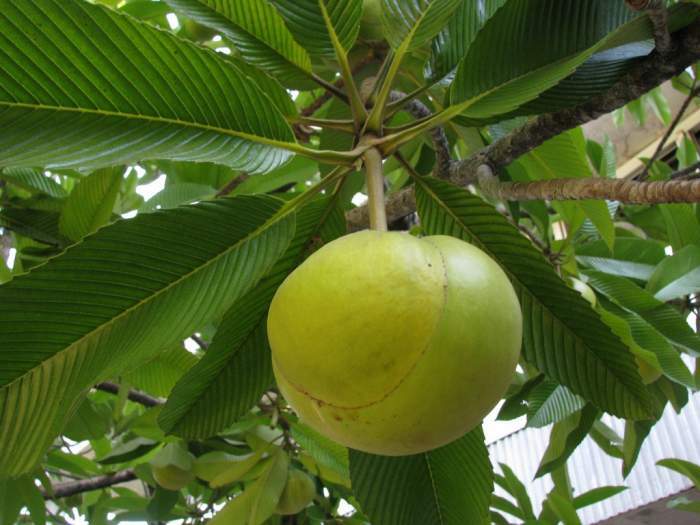 It belongs to the family of Sapotaceae (Sapota or Chikoo). These berries are only available in May (initials of summer). 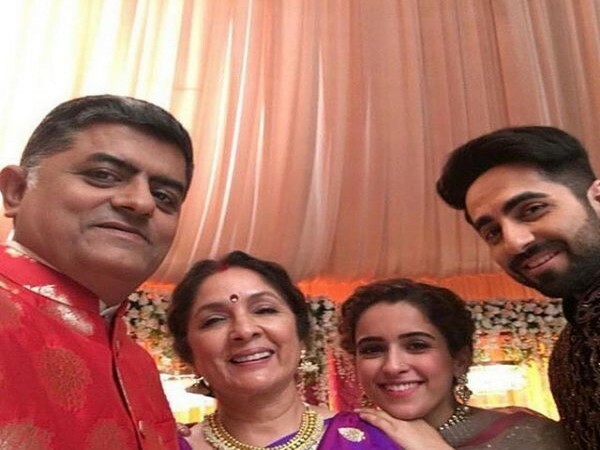 Bilimbi is relative to the star fruit. They are grown in Kerala, Karnataka, Tamil Nadu, and Goa. They are bright green in color and firm when they are raw and become yellow in color, also shiny and tender as they ripen. 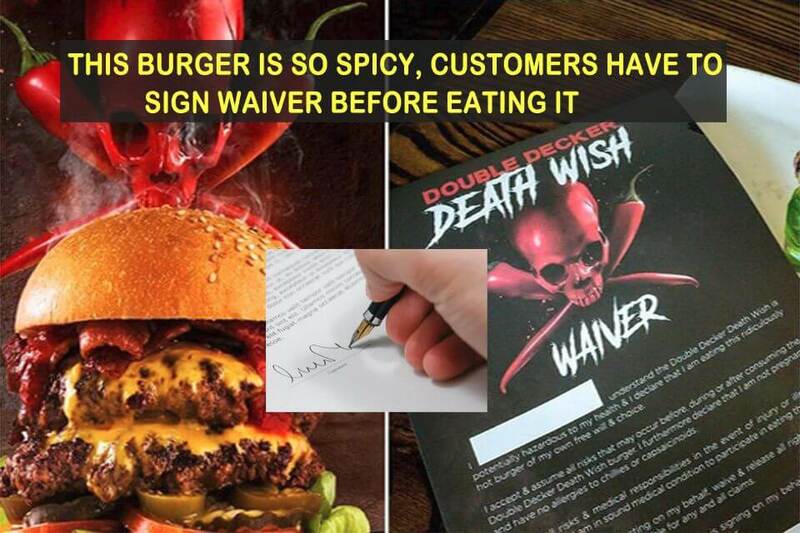 They are tangy, acidic in taste. They have the tart and sharp notes that give a punch to our tongue. To reduce its acidity they are often cut first and soaked in salt water for a short time before they are used in chutneys, pickles, and jams. Chakotra is a member of the Citrus family, which is grown in Northeast India, West Bengal, and some areas of Karnataka and Kerala. Pomelos is slightly sour in taste without having bitterness and acidity. 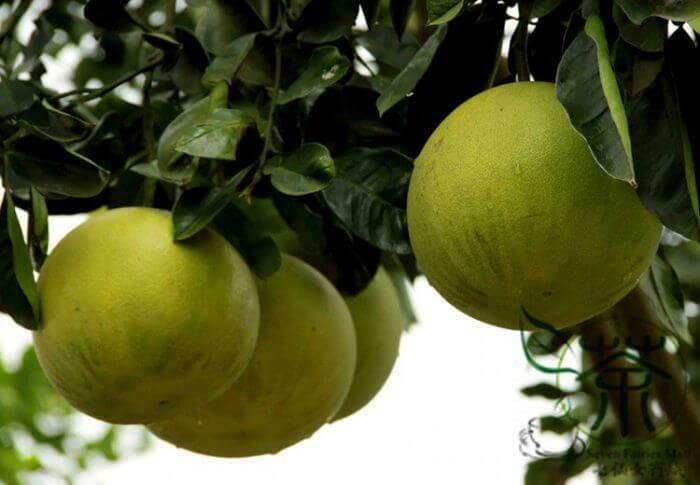 Pomelos came to India from Batavia in Indonesia and thus called with a common name, Batabi-Lebu. 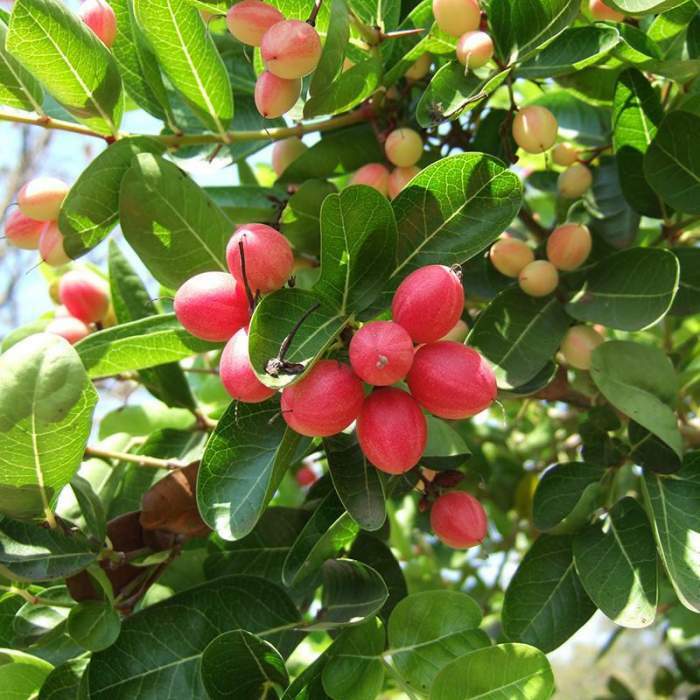 Karonda is a nutrient-rich wild berry, pink in color with tiny seeds in a core and is grown in The Siwalik Hills of Bihar and West Bengal, the Western Ghats and the Nilgiri Hills. The flesh of the fruit is firm which gives a tart flavor which tastes delicious and taste even better when eaten with sprinkled rock salt. They turn into purple color as they are ripened. They are commonly used in jams and sweet pickles. 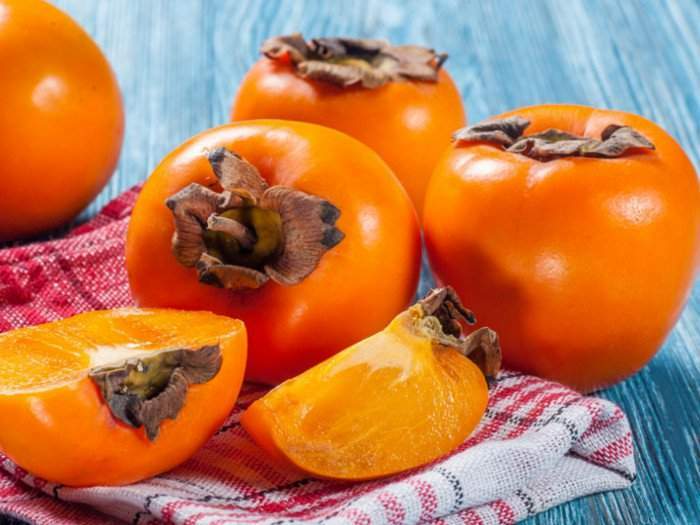 Japani Phal is a temperate, local fruit which has been given a Himachali name of the exotic, deep orange-red-colored, delicious persimmon. 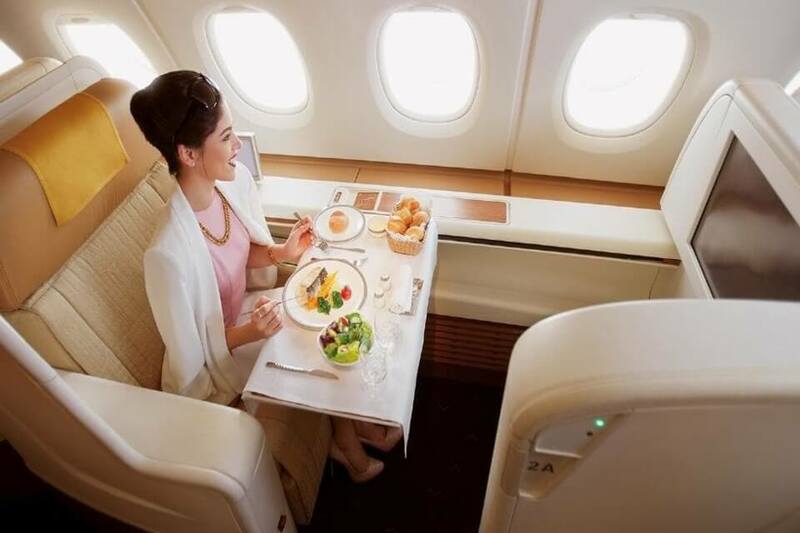 It’s a soft-ripened fruit which is sweet and a food delight. The fruit has its China and was introduced in India by European settlers in the early 20th century. This one of the unique and rare fruits are grown in Himachal Pradesh, Jammu and Kashmir, Uttarakhand and Nilgiri Hills. 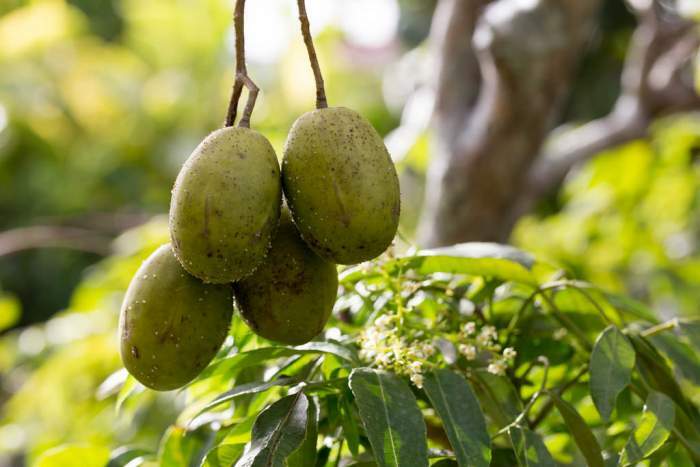 Indian Hog Plum also called wild mango, a ripe ambarella has a gentle sweetness of pineapple. They can be enjoyed as a juice, as a pickle, as a flavoring in fruity cocktails, and as simple slices, sprinkled with salt and red chili powder. 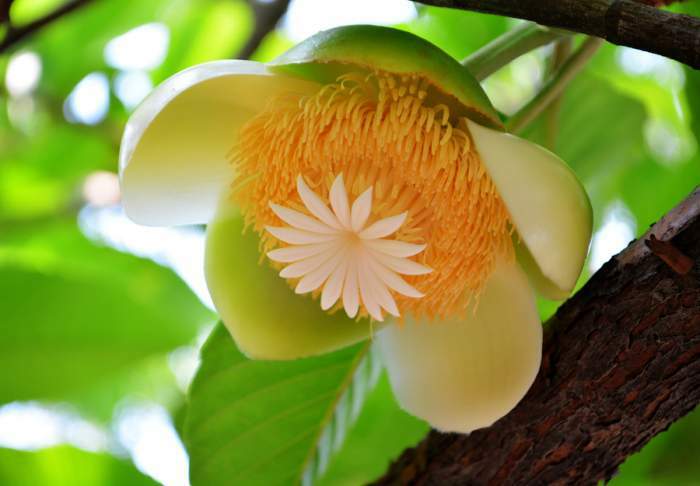 It’s one of the rare Indian fruits you’ll taste. The fruit is grown in Tamil Nadu, Kerala, Karnataka, Maharashtra, and Goa. 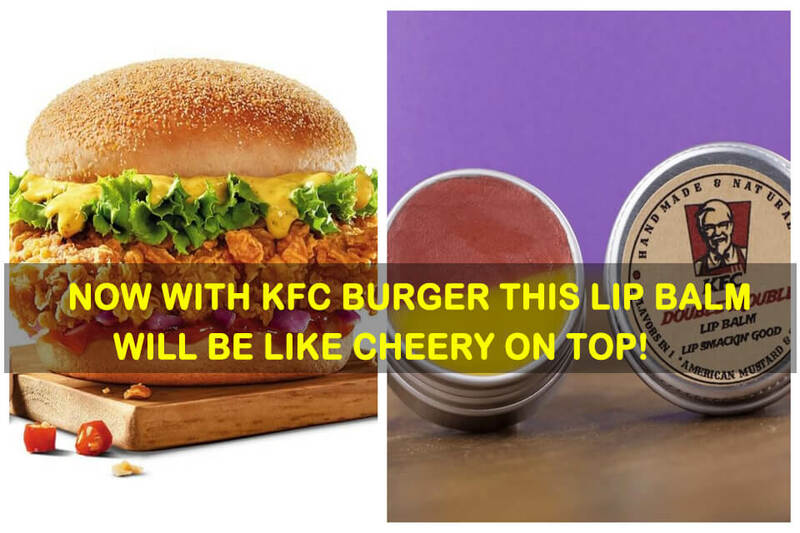 Also Read: A single tomato can give amazing benefits to your body!